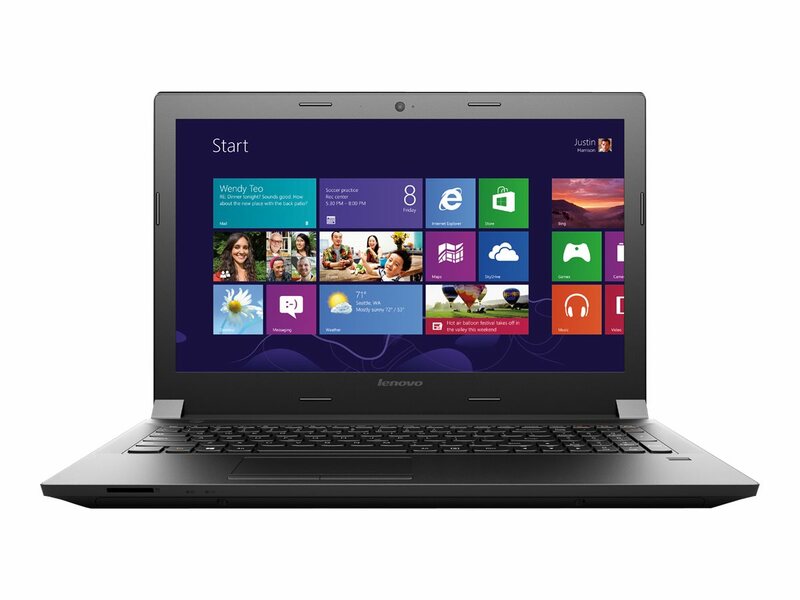 The Lenovo B50-30 is a low-cost business notebook that can only handle low demand applications and processes. The 15.6 inch notebook is powered by Intel's Celeron clocked at 2 GHz. It comes equipped with 4 GB of RAM and a 320 GB hard drive. The B50 weighs 2.15 kg and is solid and sturdy enough to be carried around, but a little on the heavy end. The matte plastics casing attracts fingerprints but provides a good grip. The screen does not have a high resolution at only 1366x768 pixels and is not a touchscreen. The colors, contrast and viewing angles are nothing to brag about either. On the other hand, it functions well enough outdoors at maximum brightness. The keyboard is standard size, but suffers from being a little unsteady (flexes when pressure is applied). The Lenovo B50-30 has one USB 3.0 port, 2 USB 2.0 ports, an HDMI port, an Ethernet port, an SD card reader and a DVD drive. The processor's performance is similar to a netbook's. This said, it is only able to run basic tasks. Loading times are also tediously long. To reiterate, the notebook will not be able to handle most games. The battery can last for about three and a half hours while browsing the net. How cheap can a laptop be? 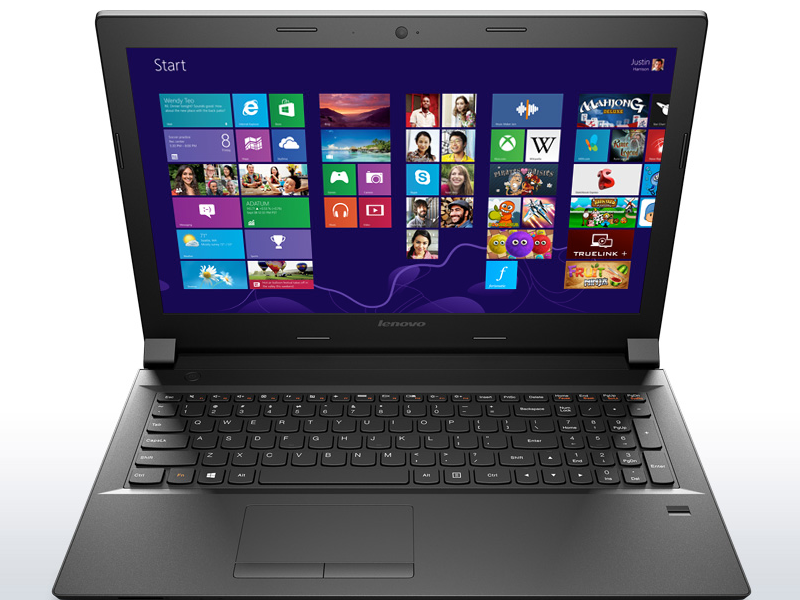 Lenovo offers incredible freedom for configuring its B50 product line, and thus provides an extremely affordable entry into the laptop world. We looked at the base configuration for 270 Euros (~$363) in this case and thoroughly examined what can and should be expected from this device. Battery life is another matter, though. The Lenovo could only survive four-and-a-half hours of light use, and a little over four hours with heavy workloads. It’s a versatile machine for the money, but the B50-30 isn’t the most well-balanced laptop around. The Lenovo B50-30 may have a lousy screen, bendy keyboard and a processor so slow that it’s overtaken by budget Android phones of yesteryear. But as a package to compete against Google and its new Chromebook competition it looks feature-packed, thanks to a relatively huge hard disk and even a DVD drive. With a zero-cash-cost Windows operating system, things have just got interesting in the budget laptop space. 60% Can this impressive £199 laptop trump pricier rivals? This isn't the kind of machine designed for high-intensity gaming or tough work applications, and that's clear from the benchmark results – the Lenovo B50's processor and screen are only able to cope with basic, general computing. The keyboard is good, it's reasonably well-built, and battery life is a little better than rivals. 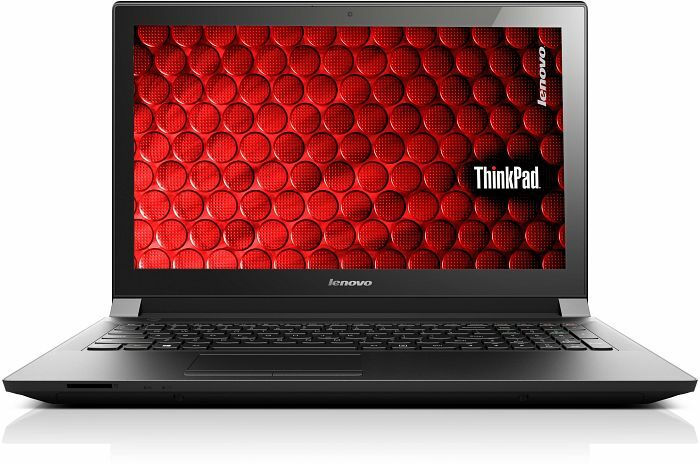 This machine is a good budget buy if the superior Toshiba Satellite C50 is too expensive. The Lenovo B50 looked interesting on paper but the reality is it’s a cheap laptop for a reason. Its build quality is poor and its performance even worse. If you’re looking for a basic laptop for browsing the internet and other basic tasks, you are better off looking at a Chromebook, such as the HP Chromebook 14, or if you are sticking to a similar budget then the smaller Asus X200MA is superior. You can't expect a notebook that starts at £190.83 (ex. VAT, £229 inc. VAT) to be brimming with bells and whistles, but you have every right to expect a solid workhorse. Although it's a moderate performer and only has one USB 3.0 port, the Lenovo B50-30 is an excellent option for those seeking a low-cost Windows laptop. Positive: Good price; decent hardware for normal tasks;. Negative: Poor display; poor touchpad. 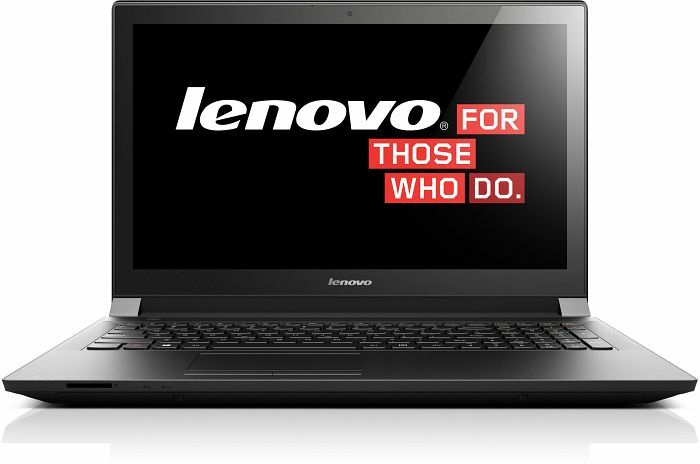 Affordable and configurable; is the tagline used by Lenovo in regards of the Lenovo B50-70. At first glance, the Lenovo B50-70 looks fairly simplistic in design especially with the full matte black chassis and metallic front cover. Edges and lines are clean and elegant making it a perfect business laptop. Small businesses are the target demographic and users will certainly be impressed with the productivity and rich multimedia features of the device. 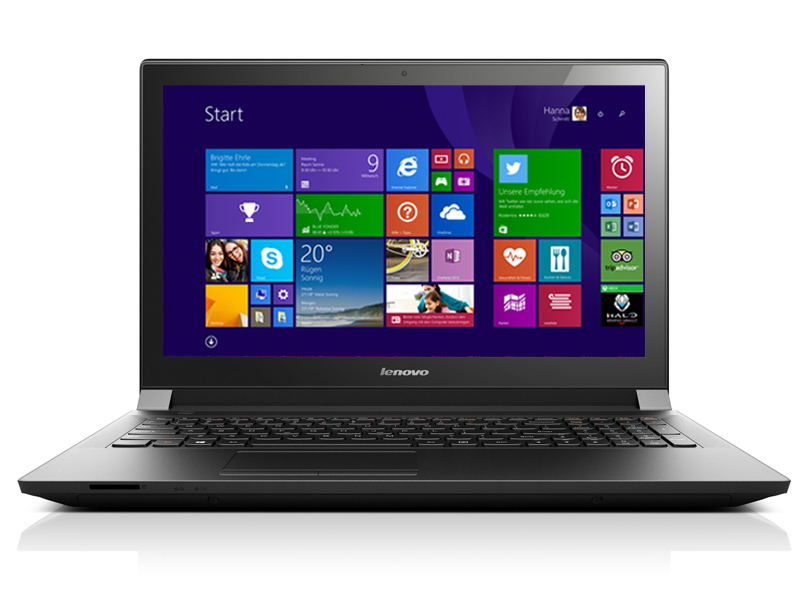 The Windows 8.1 64 bit laptop packs in a 15.6 inch 16:9 TN LED panel with a matte finish. Display quality is decent with good contrast and colors. Audio quality is excellent with stereo speakers driven using Dolby Advanced Audio v2 technology. 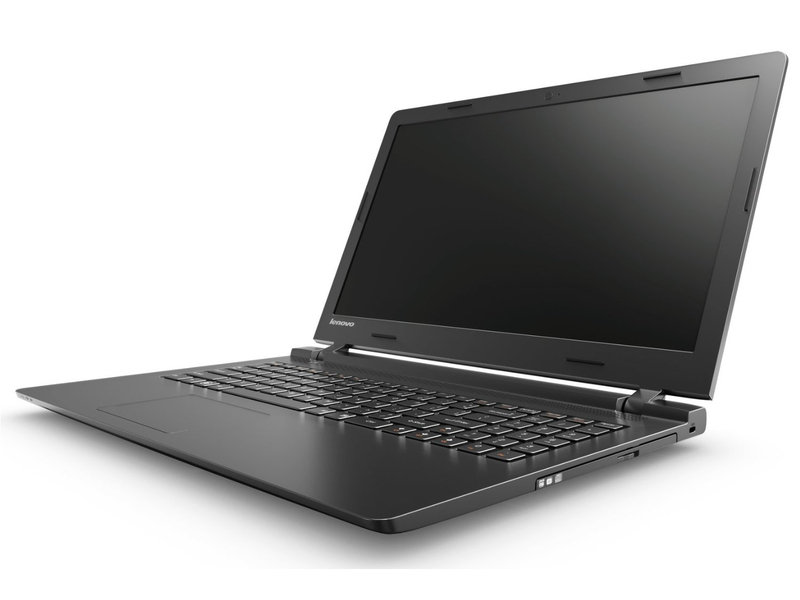 There are many configurations but the Lenovo B50-70 variant comes with an Intel i5-4210U processor clocked at 1.7GHz, 8GB DDR3L RAM and an AMD Radeon R5 M230 GPU. Users can select either a HDD or hybrid HDD with SSD cache with a capacity of up to 1 TB each. Other technology on the laptop comes in the form of an optional optical DVD drive, 2 USB 3.0 ports, 1 USB 2.0 port, 4-in-1 card reader and HDMI out. 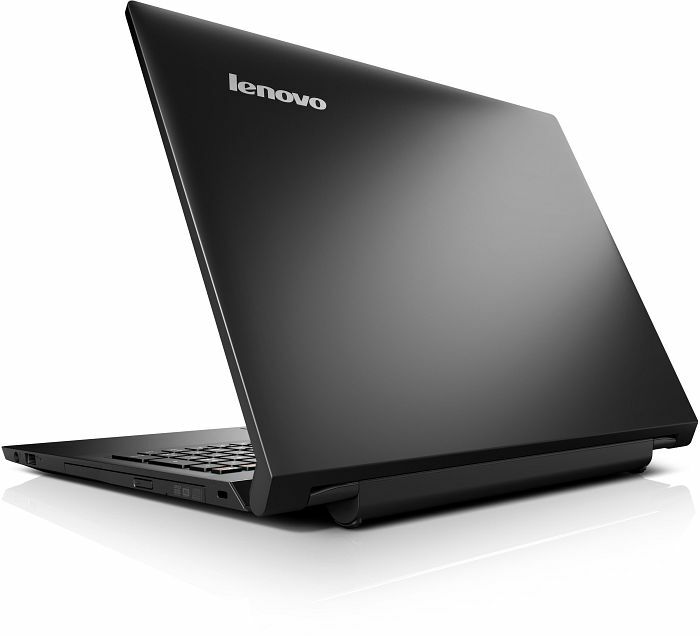 The Lenovo B50-70 features a good battery life of up to 6 hours using a Lithium-Ion cell rated at 2200 mAh. No endurance. 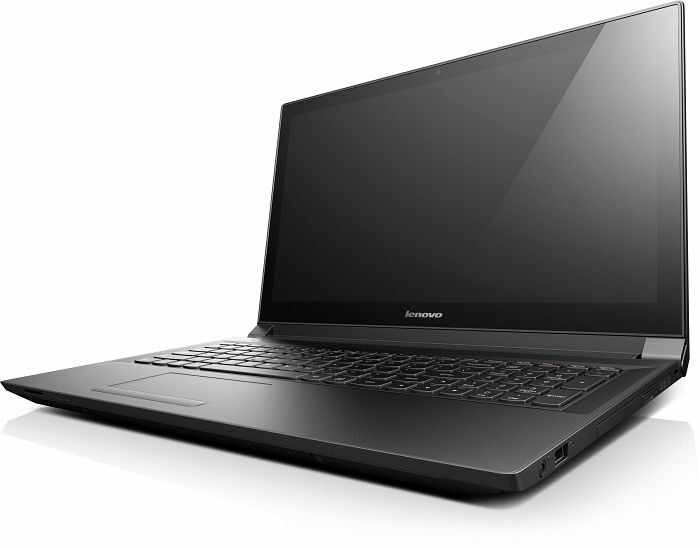 Lenovo sees its B50-70 destined to be a workhorse. A matte Full HD screen, powerful Core i5 processor, and a high-capacity hard drive let buyers prick up their ears in this direction. However, the laptop exhibits shortcomings in keyboard and battery life. 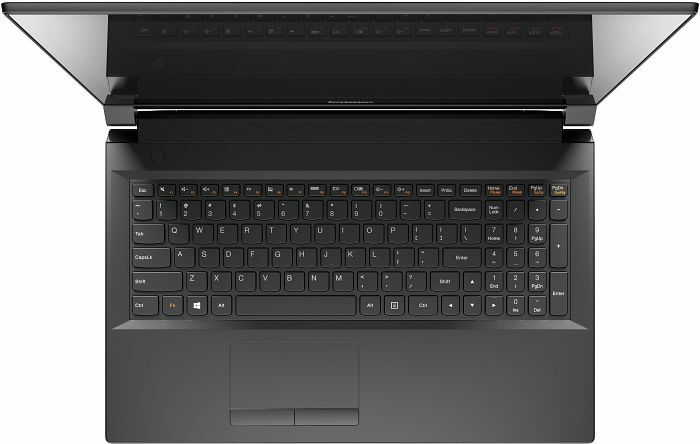 Positive: Decent performance for office work; built-in optical drive; ergonomic keyboard; good price; matte display. Negative: Mediocre display and cameras. Positive: Comfortable keyboard. Negative: Short battery life; TN display; plastic design. Positive: Fingerprint reader; matte display; low temperatures under high computational load. Negative: No mSATA / M.2 slot; mediocre screen; low battery life. Lenovo B50-70 – достъпен и бизнес ориентиран. Positive: Lightweight; elegant design; outstanding performance; excellent battery life; good matte display; reasonable price. The biggest selling point of this laptop is its AMD hardware, which will really please fans of the AMD brand. Its AMD A6-6310 1.8 GHz APU processor, alternatively called the Beema features a clock rate of up to 2.4 GHz with Turbo and is capable of running everyday tasks. This processor has a TDP of 15 Watt and is coupled with a 4 GB RAM (two slots available, only one occupied) and 500 GB storage hard disk. Users can choose between the integrated AMD graphics chip or AMD Radeon graphic card, which supports DirectX 11.2 clocks at 800 MHz. The unimpressive specs might be disappointing. However, they are not surprising in view of the affordable price tag. The laptop weighs 2.4 kg and is surprisingly thick at 26.2 mm, which is actually considered quite bulky. The 15.6 inch screen delivers mediocre clarity and contrast. In addition, the viewing angles are rather narrow because Lenovo only included a simple TN panel. One impressive feature of the B50-45 is the relatively low heat generation despite AMD having a reputation of making processors that release a lot of heat. Overall, this is a suitable laptop for the average user with no special demands. Below average. Lenovo decided to use the new Beema APU from AMD in its B50-45. Only 390 Euros (~$494) is due for the simple office notebook with a size of 15.6-inches. However, the computer definitely reflects its low price tag. Positive: Silent cooling system; attractive appearance; very good performance. Negative: Weak audio system; insufficient stiffness case. Positive: Comfortable keyboard; good contrast of the matte display; nice business design; decent performance. Negative: Short battery runtimes. Positive: Ѕіmрlе dеѕіgn wіth mаttе ѕurfасеѕ lеѕѕ ѕроttіng; mаttе ѕсrееn; hіgh rеѕоlutіоn ѕсrееn; good cooling system. Negative: Ѕіnkіng kеуbоаrd аt wоrk; fаіrlу lоw соntrаѕt аnd vіеwіng аnglеѕ of the display; rеlаtіvеlу ѕhоrt bаttеrу lіfе. Positive: Decent performance; good battery life. Jack-of-all-trades? AR-coated, Full HD, powerful Intel SoC, and an AMD graphics. The mix that dreams are made of? However, we are disappointed - and you? Positive: Decent hardware; good price. Negative: Mediocre design. Integrated GPU on select AMD Beema APUs. Based on the GCN architecture with 128 shader units and a core clock up to 800 MHz. AMD Radeon R5 M330: Entry level dedicated graphics card based on a 28nm GCN 2.0 / 1.2 chip supporting DirectX 12, Vulkan and FreeSync.» Further information can be found in our Comparison of Mobile Graphics Cards and the corresponding Benchmark List. A6-6310: Quad-core APU for entry-level devices and sub-notebooks, codenamed Beema. Based on the Puma+ architecture and integrates a Radeon R4 GPU.Intel Core i7: The Intel Core i7 for laptops is based on the LG1156 Core i5/i7 CPU for desktops. The base clock speed of the CPUs is relatively low, but because of a huge Turbo mode, the cores can dynamically overclock to up to 3.2 GHz (920XM). Therefore, the CPU can be as fast as high clocked dual-core CPUs (using single threaded applications) but still offer the advantage of 4 cores. Because of the large TDP of 45 W / 55 W, the CPU is only intended for large laptops. N3540: Soc with an integrated quad core Atom processor clocked at 2.16 - 2.66 GHz and an Intel HD Graphics GPU. 63.62%: Such a bad rating is rare. There exist hardly any notebooks, which are rated worse.» Further information can be found in our Notebook Purchase Guide.